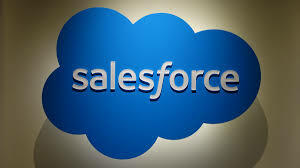 11.Which of the following is not a Standard Salesforce.com Application? 12.Which of the field types cannot be used as an External Id? 13.Which of the following cannot be on the controlling side of the Dependent Picklist? 14.On Lead Conversion, the Close Date of the newly created opportunity is automatically set to? 15.Which of the following profile permissions will enables the User to edit any record, regardless of the Sharing Model? 16.Can an administrator change the profile settings of the Standard Solution Manager profile? 17.Queues cannot be created on which Object in salesforce.com? 18.Which of the following is not a valid business process in Salesforce.com? 19.What is the significance of Primary Master – Detail Relationship in a Junction Object? 20.What happens when you delete an object that is related to a junction object by a lookup relationship?